Of all the disasters Venezuelans currently face, crime is by far the most pressing. Yet for all its seriousness, how well do we understand the nature of the problem? If we are honest, are we ready to make the sacrifices necessary to defeat this threat? 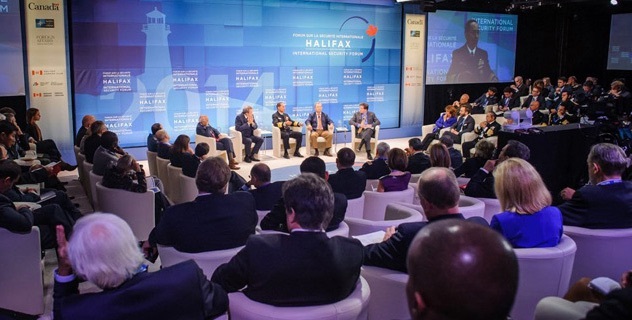 I’ve spent the past few days holed up in a hotel in Halifax, Nova Scotia, discussing international security with 300 policy makers, journalists, members of various armed forces, wonks, and writers. It was an eye-opening experience, one that I will be writing about some more in the next few days. But one of the main things I took from the meeting … is the sheer complexity Venezuelans face on the issue of crime. Countries go through crime waves. Sometimes they ride the wave and the problem goes away on its own. Other times, they proactively solve them. But few countries are facing the public safety armageddon that Venezuela faces. The combination of drugs, impunity, state implosion, dropping fiscal revenues, and wholesale desmadre is a perfect storm, and the problem just keeps getting worse. That is why it is a mistake to simplify the problem. The beast we face is enormous. Malandros are our ISIL, colectivos armados our al-Qaeda. Think about it: these non-state actors are effectively controlling parts of our territory, operating with complete impunity, using horrible methods to achieve their goals. They are overrunning state forces, and they are changing the fabric of our society for the worse. Our people live in fear because of them. Worst of all: they’re winning! The question, then, is what is it going to take to stem the tide. I really don’t know, but let me shoot some thoughts. It’s going to require a lot of intelligence – meaning interception of cell phones, infiltration of gangs, spying of Facebook accounts, etc. That requires technology, money, and human capital. It’s also going to require manpower – lots of it. We need more cops, true, but we also need a ton more prosecutors, judges, prison guards, and yes, prisons. Unless we are envisioning some sort of wholesale amnesty for malandros (maybe we can have a peace process in Havanna! ), we need to understand that defeating this is going to require getting tough. Finally, it’s going to require new legislation that aligns the different state actors in the same fight. Obviously, none of this is going to happen while chavismo is in power, but if there is a change, we shouldn’t kid ourselves: we are talking massive, expensive, complex nation building here. Which is why we should laugh at any of our leaders who say that simple things such as “education” are the answer. The challenge Venezuelans will face on the security front is enormous. It is similar to the challenges militant groups pose for Western nations. It is going to require an intense focus and a serious injection of resources to solve it. We can either prepare for it, or simply throw in the towel right now.